Om: Extracts color palette from images and adds an ability to search by color. 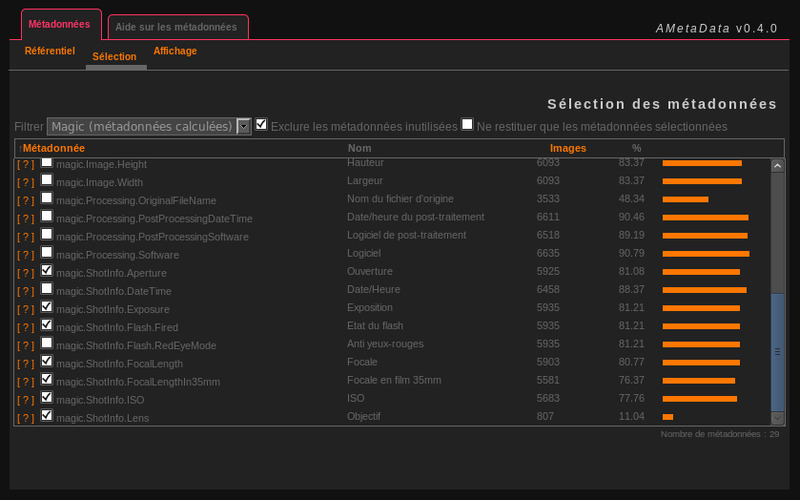 Om: Provides autocompletions in the quick search box with album/tag names and with custom suggestions. Om: Perform a search with a link, no need to use the search form. Om: This plugin prevents access to search and tags for non-registered (guest) users when activated. 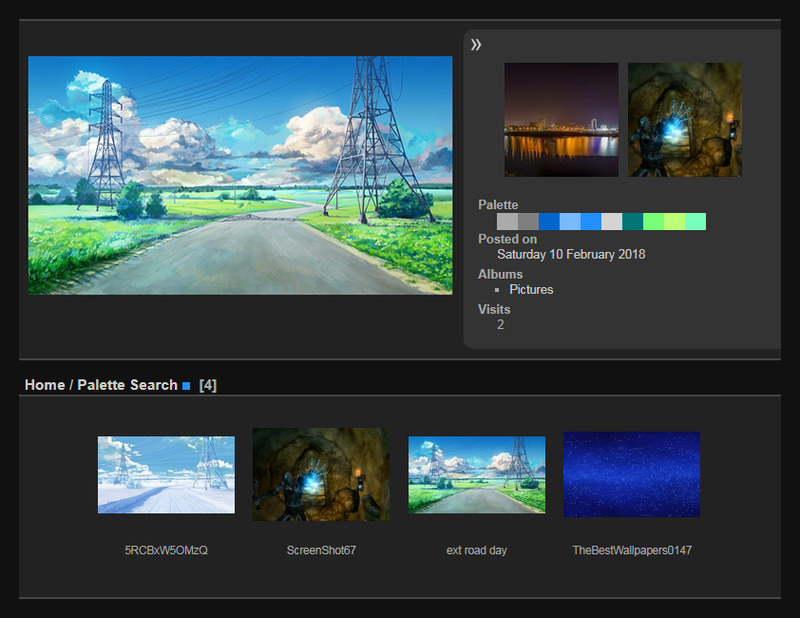 Om: Advanced Metadata est un plugin permettant d'exploiter les métadonnées Exif, IPTC et XMP présentes dans les images Jpeg.